Fire Roasted Jalapeno Dip is thick, creamy, and cheesy and has a subtle deliciousness of jalapeno. I am extremely fond of jalapenos. In consequence, I have posted many recipes with jalapenos. This one however is my favorite because I came up with something really different. I have never roasted jalapeno directly on the flame. It was a memorable experience for me. Just hold the jalapeno pepper carefully with a long tong and put it a little above the flame. Keep turning to all sides and smell the tempting aroma. I did no deseed the pepper. Feel free to deseed to reduce the strong spicy flavor of the dip. In my next step, I blended this fire roasted jalapeno pepper with cashew nuts. These nuts needed to be softened a bit so I poured over some boiling water and let it stand for few minutes. Later, drained and combined with flavorful nutritional yeast and rest of the ingredients in a blender and blended it smooth. Guess what? Fire Roasted Jalapeno Dip is the most wanted dip in my home. 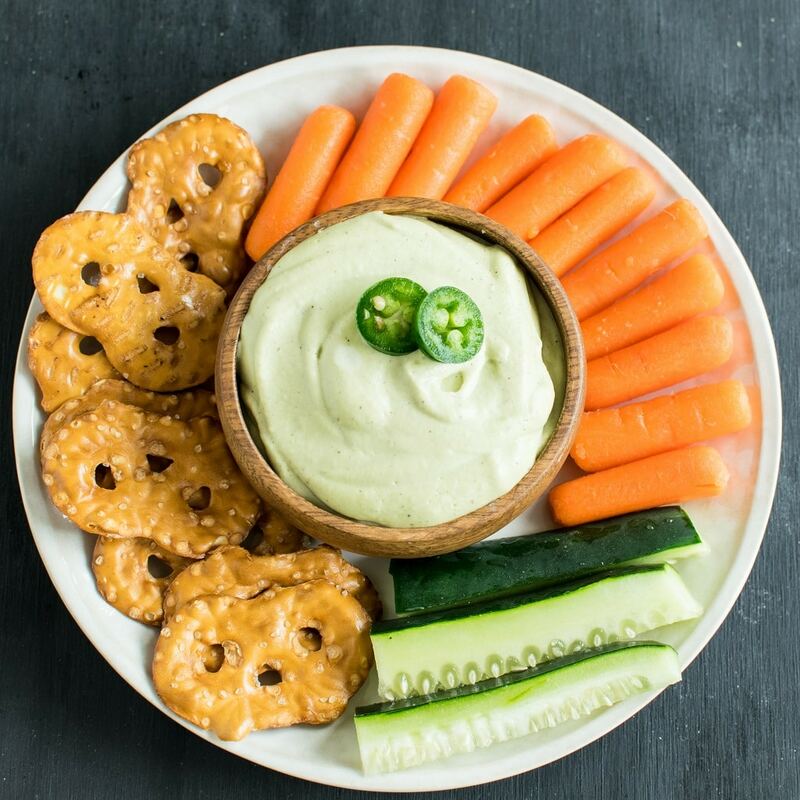 Recently while hosting parties this dip has been in demand so I always have some dip handy. I always have this dip handy in my refrigerator. 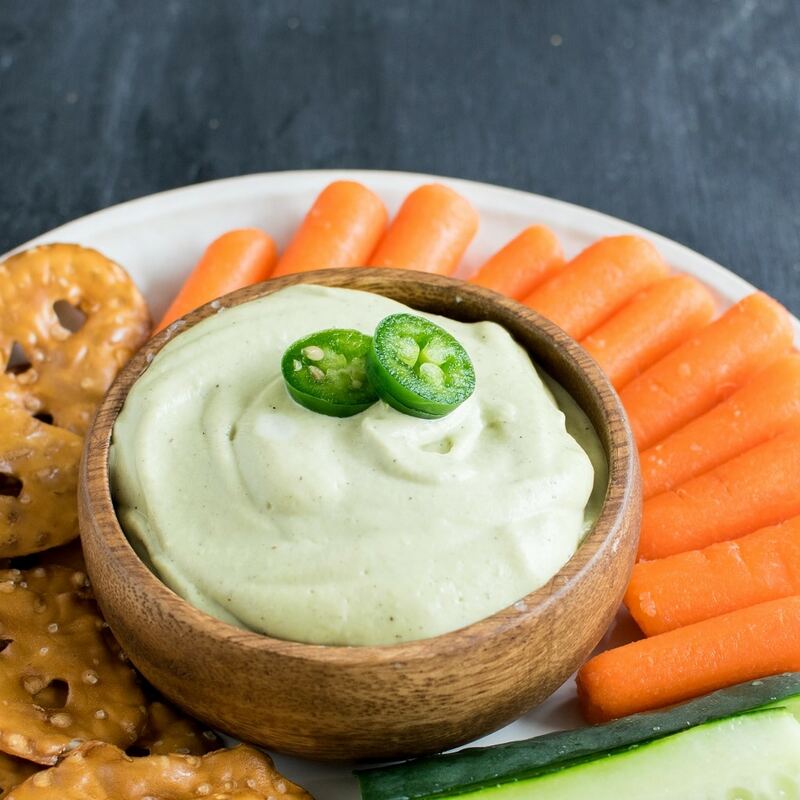 This versatile Fire Roasted Jalapeno Dip can be used as a spread on sandwiches, or as a dressing on salads or just a dip for chips, crackers or veggies. We relish this dip frequently, so, if you really want to know what I am trying to say, you have to make this dip right now. It’s so easy and quick and has a long shelve life. This dip requires only 5 ingredients (excluding water) and 12 minutes of your time. I am sure you must be having all the ingredients in your pantry right now. Just grab a fresh and beautiful jalapeno pepper out of your refrigerator and start roasting. However, feel free to roast the jalapeno pepper on a grill if desired. The taste will almost be the same. I would still insist to roast the pepper directly on the flame and to get the experience that I got in my kitchen. This method of roasting appealed to me that I look forward to blending another batch of this lip smacking Fire Roasted Jalapeno Dip. Soak cashew nuts in boiling water. Cover and let it stand for 5 -7 minutes. 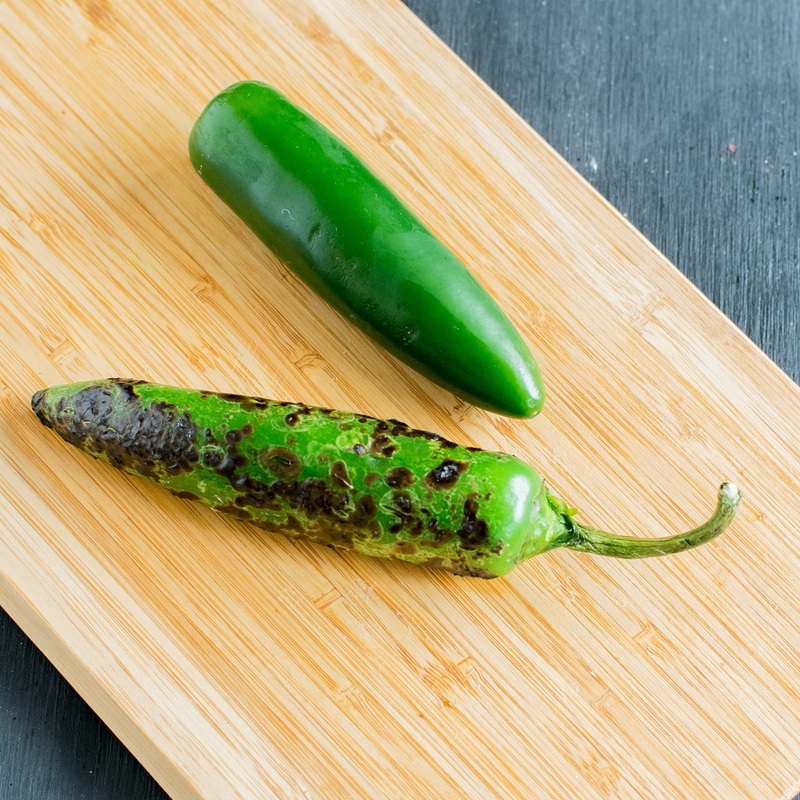 Hold jalapeno pepper with a tong and roast it on stove directly on flame. Keep turning on all sides until the skin is well cooked. If you do not have stove stop and have glass or wired stove then place a hot wire plate on top of the electric flame and roast the jalapeno on it. (You can grill as well). Once the jalapeno pepper is roasted cut the stem and keep it aside. Drain the cashew nuts and keep it aside. 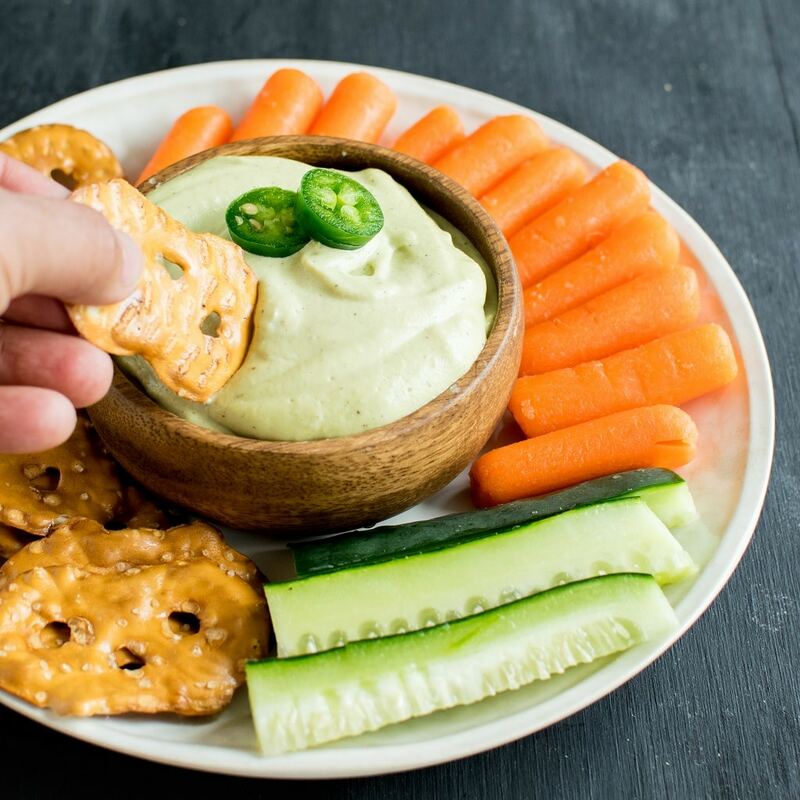 Pour the thick dip in a bowl and serve with your choice of veggies and crackers or chips or use it as a sandwich spread. Refrigerate the dip in an air tight container for 10 -12 days. This would be a popular dip around our house for anytime or occasion. Yum! I love all things jalapeños! this sounds delicious! I love jalapeño anything!!!! I am so trying this for a summer get together! I can only imagine how delicious this tastes…until I give it a try that is! This looks so good! I love that you’ve roasted the jalapenos. I don’t recall having done this, and can’t wait to try! What a great dip!